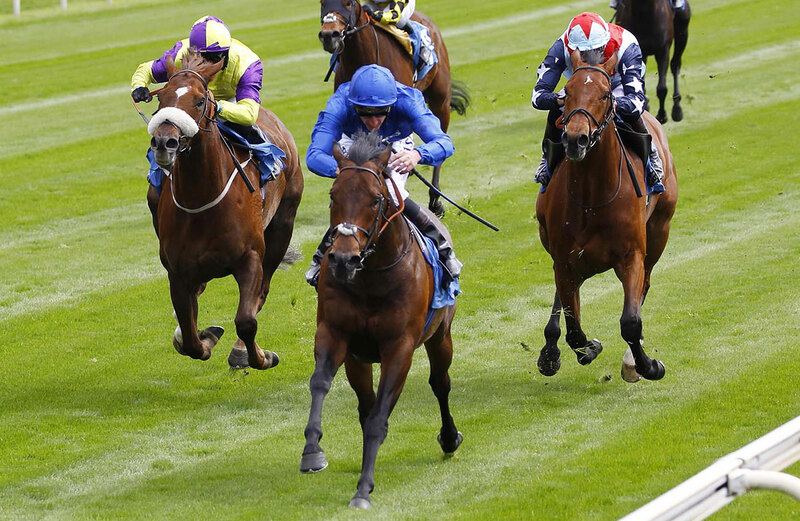 Harry Angel may yet return to Newmarket on Saturday week in a bid to repeat last year’s win in the Darley July Cup after exceeding all expectations with his rate of recovery from the Royal Ascot stalls injury. 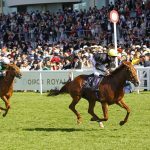 Last year’s champion sprinter started favourite for the Diamond Jubilee Stakes but had his near hind caught up when the stalls opened and trailed in last but one behind Merchant Navy after losing all chance with a slow start. 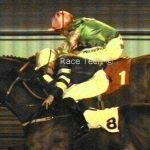 It was his fifth defeat from five starts at Ascot, and he was lame when he came off the track, with a deep cut on his fetlock joint. His participation at Newmarket looked in serious doubt, but bookmakers left him in their ante-post lists and the likelihood is increasing of his joining fellow Godolphin sprinters Blue Point and Dreamfield. Harry Angel is a top-priced 7-1 fourth favourite with BetVictor. Clive Cox would not be drawn when asked the chances of Harry Angel making it to Newmarket on July 14, but gave a very positive update. He said: “I’m keeping an open mind about Newmarket, and with 12 days to go we’re just taking it a day at a time, but we’re in a far better place than I ever imagined would be possible the day after the incident, so I’m quite happy without being completely sure what our next step will be. “Harry is doing well and we’re delighted with the way the wound has repaired. He had a fairly quiet week, but he only missed three days’ ridden exercise and he’s had a couple of confidence boosting stands in the stalls as well. Cox is keen to praise Ascot’s veterinary team, whose swift and thorough treatment of Harry Angel’s wound has been a big factor in speeding his recovery. He said: “The team at Ascot did a very good job, and if you were to look at photos of how it was the day afterwards compared to how it is now you would see that he’s come a long way in just over a week.